Akash’s favourite place in the world is his mother’s lap, and for good reason. When he is breathless and almost fainting from exertion due to a congenital heart defect, it is only there he finds solace. 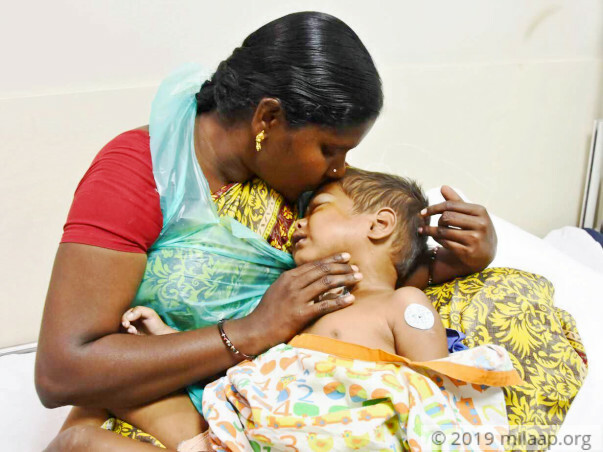 His mother, Shanthi, makes sure that she holds her son close every time he comes to her for comfort. “The doctors tell me that he does not get oxygen, because his heart is very weak. Ever since the doctor said that, I have been very scared. Akash is my only child and I cannot even think about losing him,” says Shanthi. 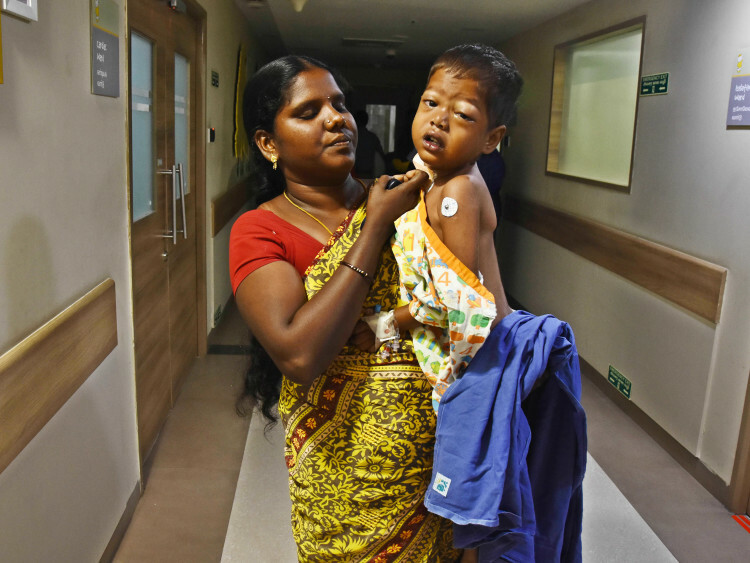 In addition to shortness of breath, Akash’s development and growth have also suffered because of his condition. Where a normal 4 year-old child should weigh at least 15 kg, Akash is only 11 kg. His mother has tried feeding him nutritious food, but to no avail; the child is becoming frailer by the day. “He eats only two mouthfuls of anything that I give him. He gets cranky when I try to give him more,” she shares. Akash loves to walk, but gets tired and famished almost as soon as he takes a few steps. He then resorts to crying, which worsens his breathlessness. “My child wants to do a lot of things – he wants to run and play like a normal child, but cannot – and this makes him angry. I cannot pacify him during such moments. I am helpless,” adds Shanthi. 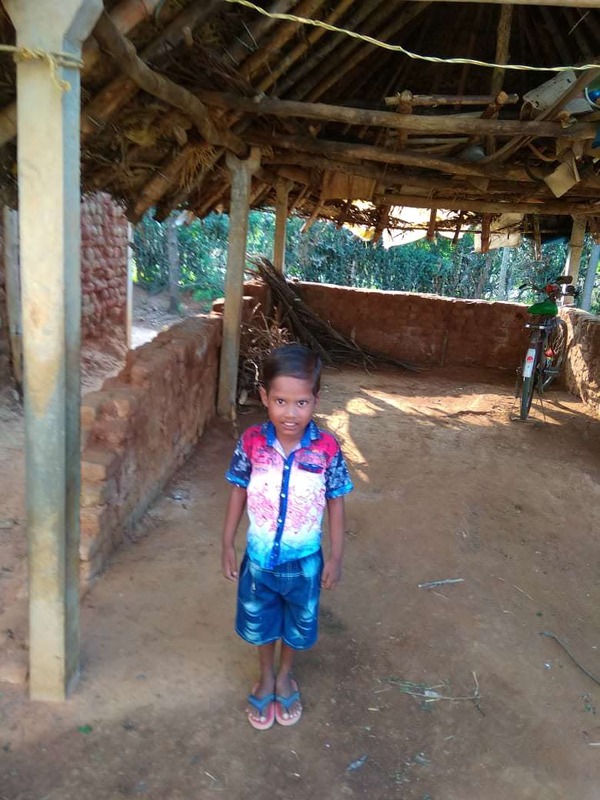 Though he cannot go to school or any other place as such because of his weak heart, there is a place that he has been frequenting since his birth – the hospital, and he is absolutely terrified of the place. It makes always makes him cry - and he clings to his mother even more. “Just last month, he had an angiogram. My child suffered a lot. I wished at that point if I could take all his pain away. He cried for two hours continuously that day. I was so scared that I thought he would stop breathing suddenly. I held him close all day,” she recalls. 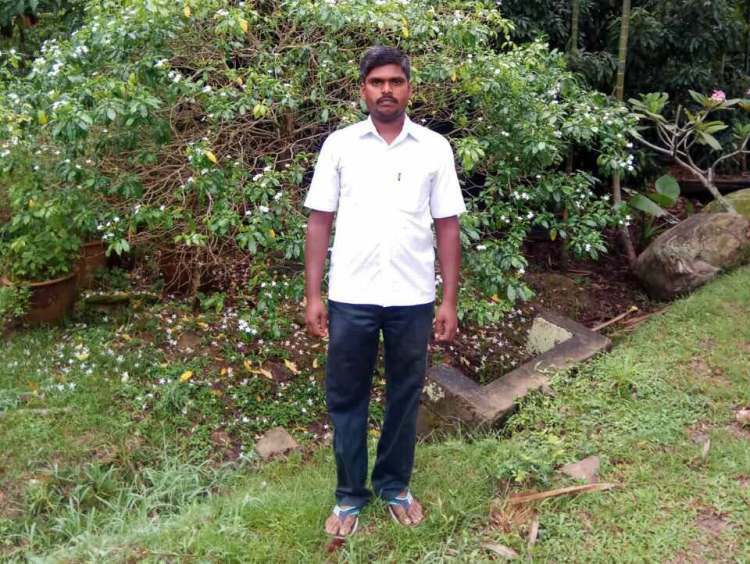 While Akash and his mother live in a remote village near Kodupatti in Tamil Nadu, his father, Rayar, is a daily wages labourer, trying to eke out a livelihood in Kerala. 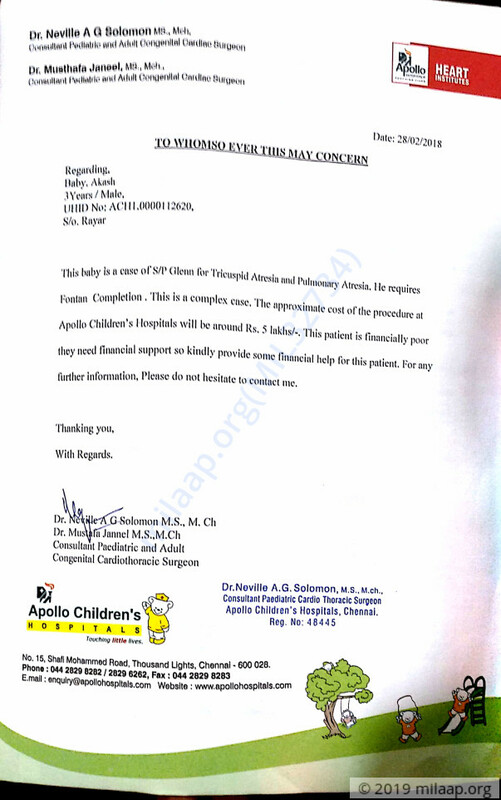 “Akash’s father comes home only when we have to take him for treatment to Apollo Children’s Hospital in Chennai. 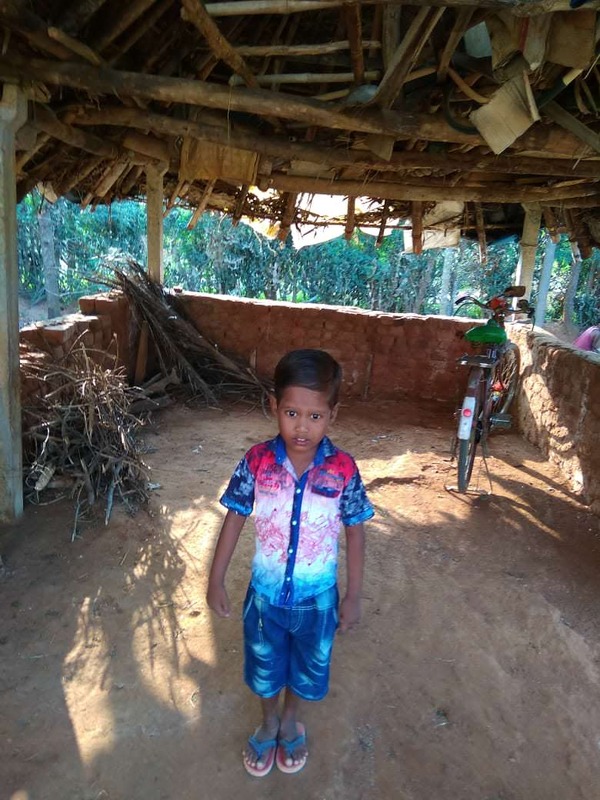 He cannot visit regularly as we have taken many loans for our child’s treatment and he cannot afford to take a day off,” laments Shanthi. 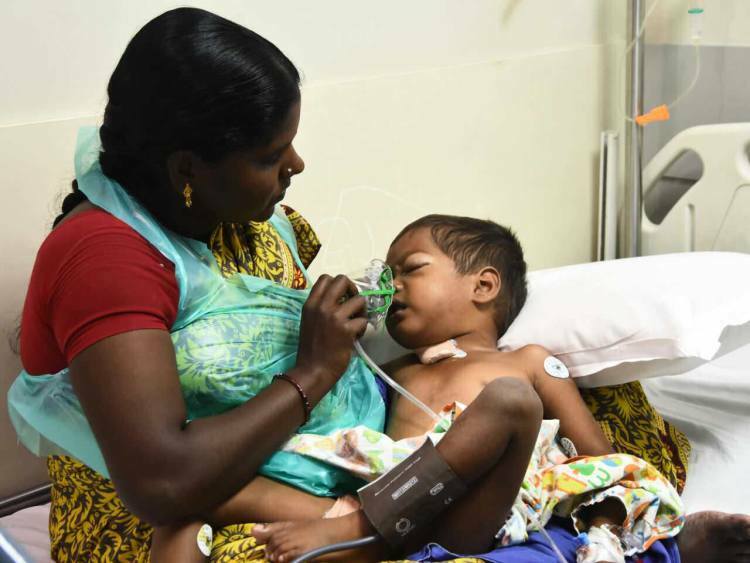 Akash’s condition is so severe and rare that only a major heart surgery can save him. Presently, he is taking a few high dose medications that is making him more weak. He cannot walk properly, and so watches TV all day. “He loves listening to songs. 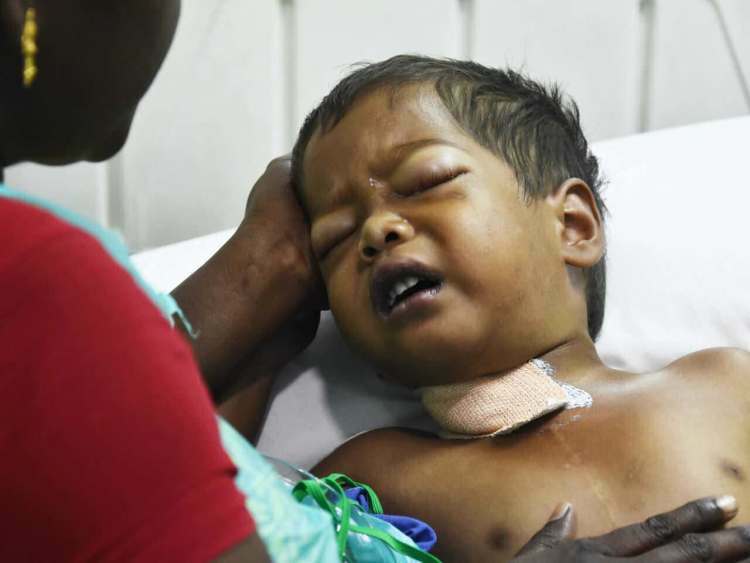 They distract him from his pain,” says his mother Shanthi. His parents are doing whatever it takes to save him, but they cannot arrange for the funds required for his surgery. Whether Akash will brave his condition and grow up happy is in your hands. Thank you for your love and support. This wouldn't have been possible without you. Akash is doing good and is stable. He is at home and visits hospital for his regular check ups. Here are few recent photos of Akash. it gives us immense pleasure in informing you all that Akash has been discharged and is now doing well. He has been advised medication and will continue to be on medication until advised otherwise. He will be on regular follow-ups so the doctors can observe his growth closely. He had undergone first stage surgery with us as a 3 month old. He had developed pulmonary arteriovenous malformations and that was turning him blue. We decided to take him for a complex surgery called completion Fontan. Due to his poor pre-operative condition, there was every possibility the child could crash after surgery. We skillfully executed the Fontan procedure. 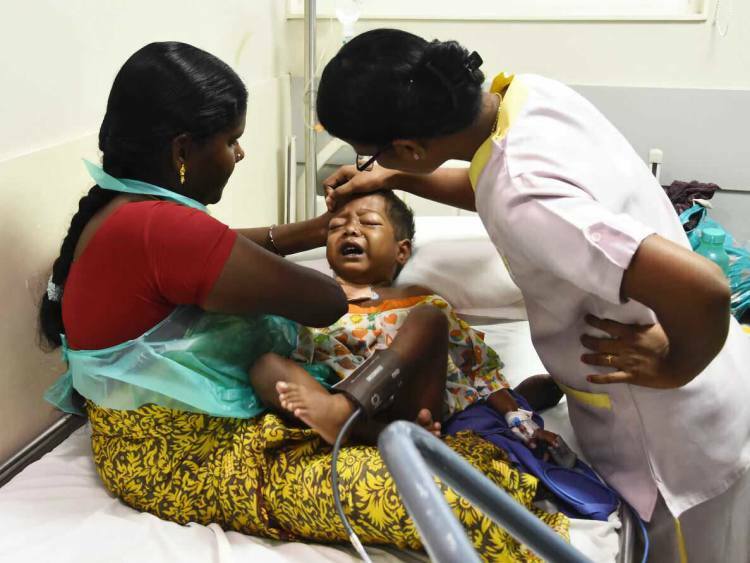 The child was very sick after the procedure with very low oxygenation. There were times we thought we had lost him. Due to the determined efforts of our team consisting of surgeons, cardiologists, anaesthetists, intensivists, paramedical staff and nurses and utilising high tech gadgetry like nitric oxide, we were able to pull little Akash through after several brushes with death and playing a game of cat and mouse with getting him off the ventilator. 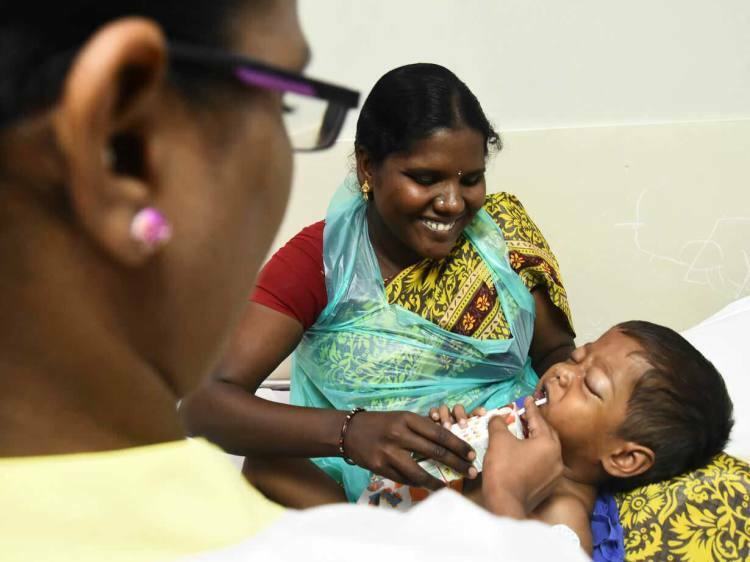 It was a proud and satisfying moment for the teams at Apollo Children's Hospital, Chennai and MILAAP when Akash was able to go home.